So much to see, browse or buy! 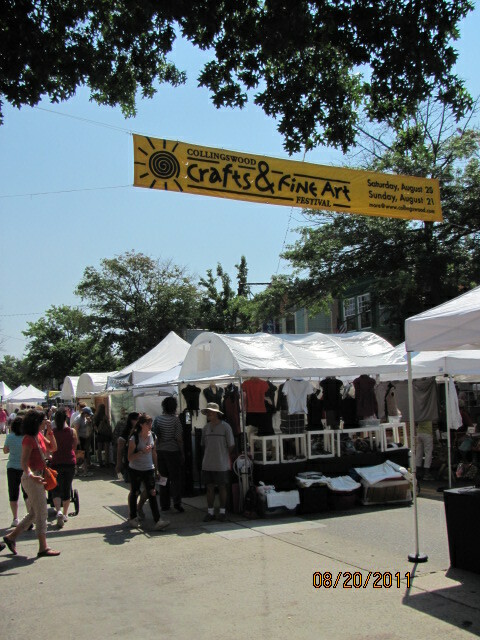 Today is the Collingswood Crafts and Fine Arts festival/ street fair. 10:00am to 5:00pm. Awesome! Food will be available called “Cafe Dining” featuring cuisines of Italian, seafood, Asian-fusion, Mexican, And All -American , and Nostalgic soda dispensed in tin cups. 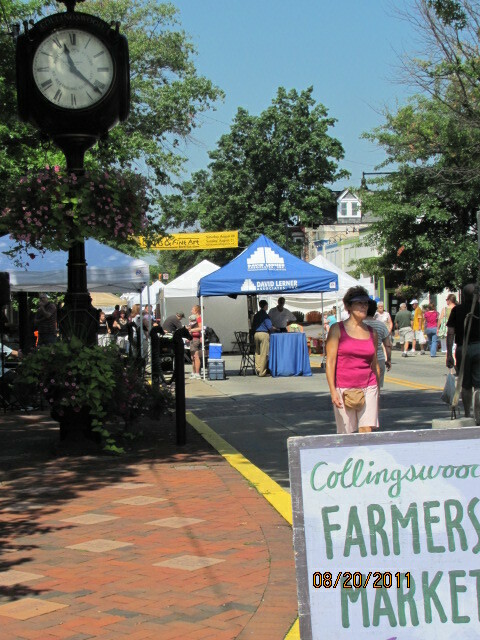 Also, every Saturday from early Am to 1200 noon is the Farmers Market. Two necklaces that I bought there two yrs ago are still my favorite, so sweet, these are made out of a bottlecap, in which I choose ocean theme , one of tiniest seahorse in sand, and the second assorted tiny seashells,”my own little beach on a chain”. Definitely will be keeping an eye out for this display today. A wide range of themes were designed, including individual letters, also occupations. Peach Cider, fresh baked muffins and breads, loaves of bread. There’s a dairy stand, special flavors of cream cheese, …my fav- cirtus cream cheese, uum yum. 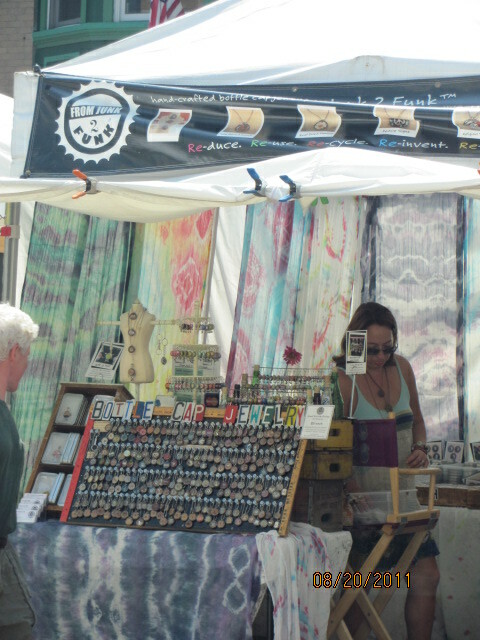 Speaking of Crafts, More photos…………. Frugal -Shop Smart sidewalk display! Shopping Frugal is a wise practice! 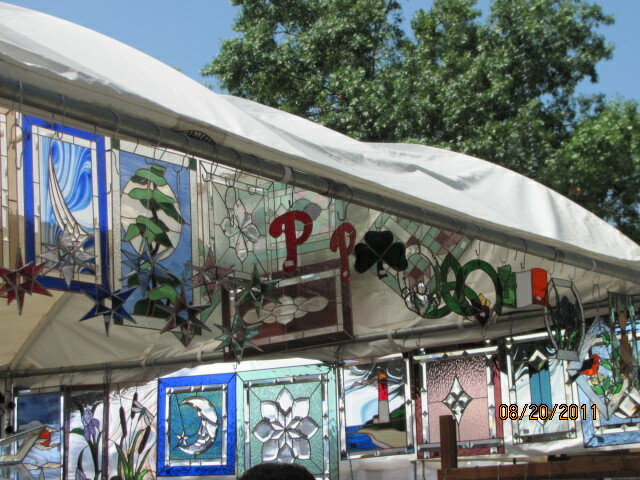 Resale items , there’s something for everyone, you just might find that special item. 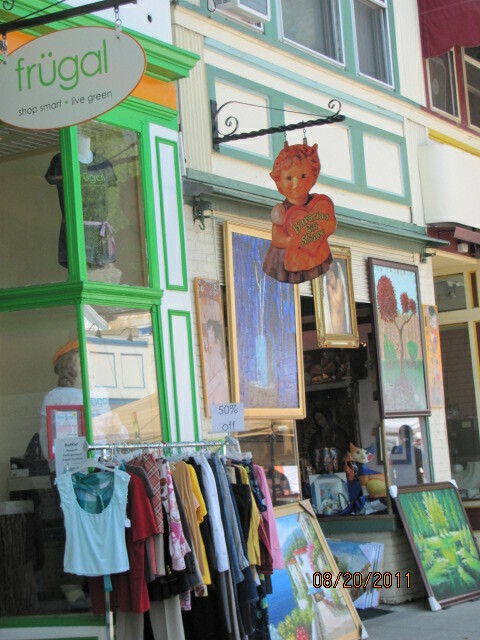 I look for kitchenwares, and cooking tools!, pictures are framed artworks, and a hanging rack of clothes. 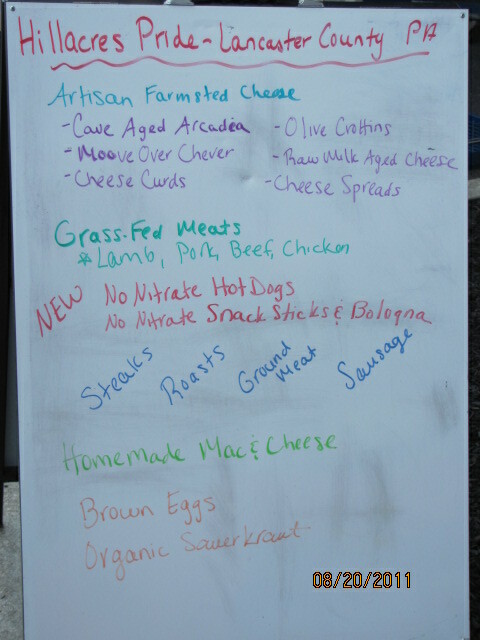 Artisan Cheese, and Grass -Fed meats at the Farmers Market…..Home-made Mac and Cheese for purchase. 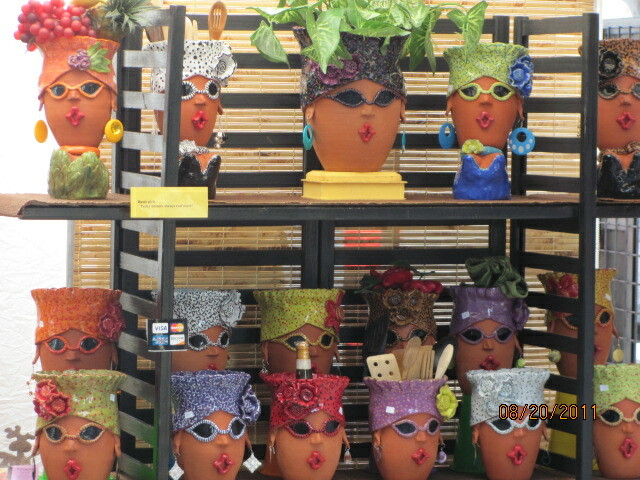 These terracotta pots make me laugh, ……..cool shades, …..pucker up!!! L O L. Useful on a kitchen counter for your kitchen tools, or in the powder-room for toiletries, yoour imagination is limitless. 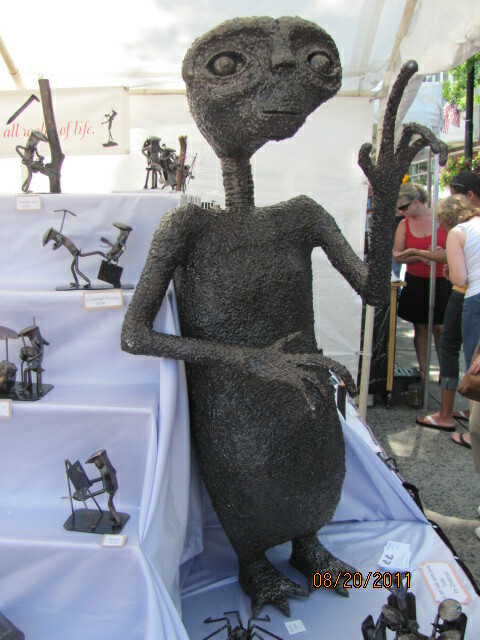 Artistic work of clay, ” E.T. Phone Home! E.T. and many smaller figures. 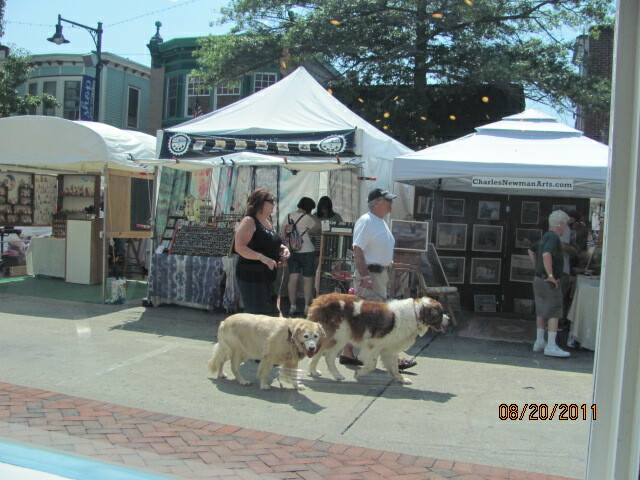 Great place to bring your dog! 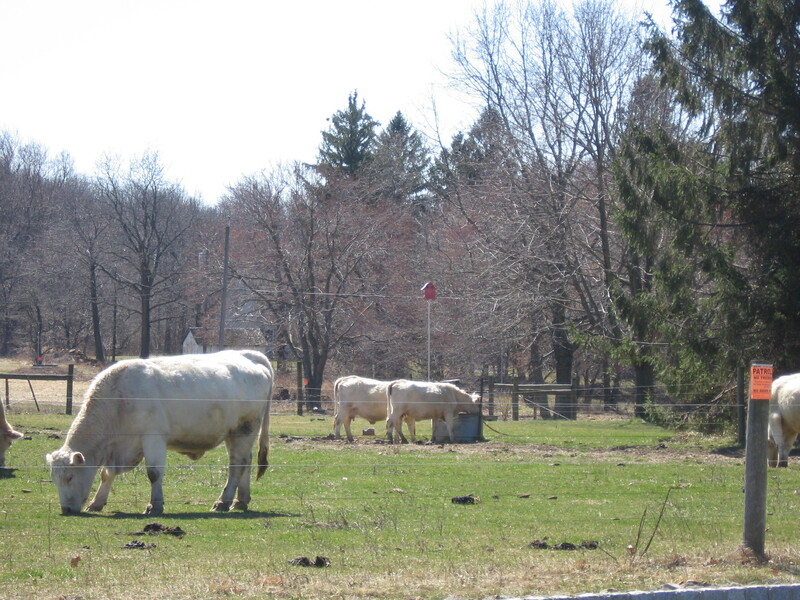 You'll see cows grazing along a county road. We’re going on local weekend caravan ride. 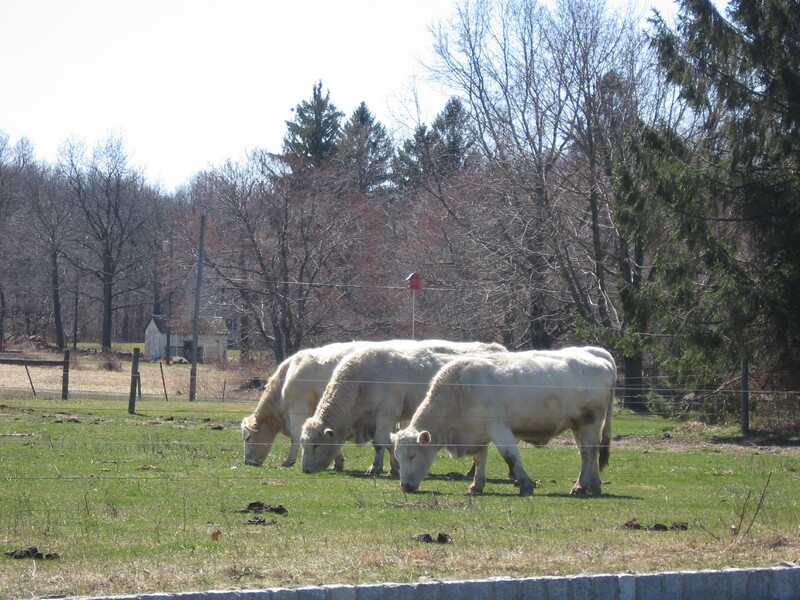 We’re taking a drive down a long and windy county road, crossing two thoroughfares along the way, we will see a pasture with cows and be tempted to stop and take more photos of the cows grazing. Hopewell Museum, a 45 min tour became a 2 hr with all my talking! We rode into the town of Blawenburg and stopped there for the Reformed church’s spring flea market and sale. It was the last day of the sale, so fill up a bag for $5.00. We put in there a spring wooden door decoration, 4 picnic paper plate holders, a small handmad wooden jar with lid, a spatula, Ekco-made in the USA, a tortilla cookbook, a Babi movie, a few more books, a tube of lotion, a Santa hat with ” Mr’ Claus” in red and green glitter. What a find! Then we drove into the next town of Hopewell. It is a historic town. After lunch, we walked across the street, to tour the Hopewell house museum. Perferct for us , it opens at 2:00 P.M. on Saturdays. 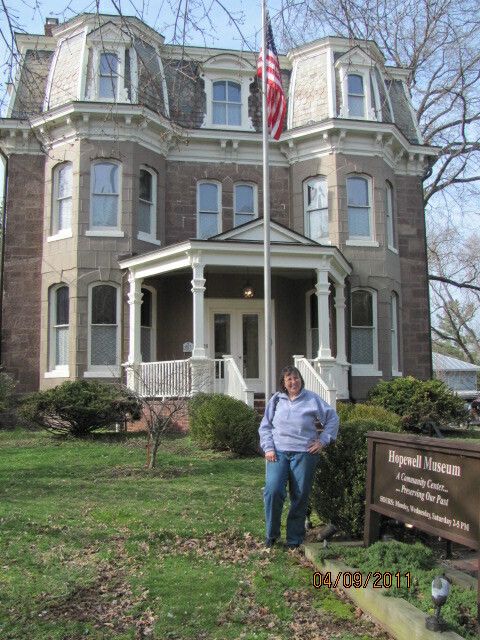 The Hopewell Museum is a four level brownstone building built in 1877 by Randolph Stout . In 1967, a two story addition was added due to the generosity of Dr. David H. Hill, to display additional fine collections, including his collection of Southwestern Native American crafts. 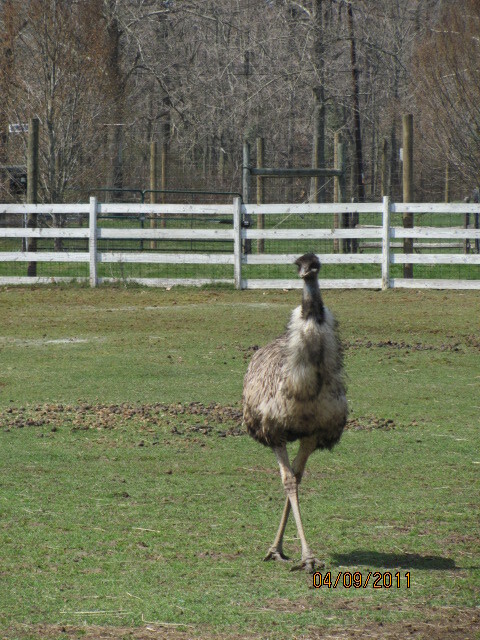 The first inhabitants were the marriage of Mr. Stout. Guests came from Philadelphia, and Trenton, and other large cities for the wedding. During this era, the mode of transportation was horse and buggy; Displayed in one of the rooms of the house are memorabilia of the early Hopewell. There are old wooden signs for places of business . For example, the” American Grocer ” which had the option of delivery of groceries first horse-drawn, and later by car. In the photo , there is a row of delivery cars, that look similar to the a PT Cruiser car. photos of Main street with the horse stables. Even the Fire Company wagon was horse drawn. One of the museum ladies asked us if we’d like a tour , it takes only 45 minutes. Of course , with me interjecting comments and taking a long time to gaze at each of the rooms, we were in there for two hours. The first floor has Period rooms, a Victorian parlour with 2 mannequins dressed in vintage wedding dresses. No you cannot take photos. 😦 On the opposite side oof the hallway in the front is the calling room. There was an antique sofa , beautiful furniture , and the box for the ” calling cards” . Every room in the house had a fireplace since during this time in the 1800’s, built in 1877 by Randolph Stout, there wasn’t electricity. In 1967, a two story addition was added due to the generosity of Dr. David H. Hill, to display additional fine collections, including his collection of Southwestern Native American crafts. We walked upstairs, and toured about 4 or 5 rooms , some of them bedrooms, and then I was surprised that there was yet another flight of stairs for more rooms to tour. There was a children’s toy room. The toys included two dollhouses, and one boy’s castle complete with metal soldiers. Also were antique dolls with porcelain faces and wax arms and legs sitting in doll carriages with big wheels. Many of the possessions are of local origin. On this topmost floor, was a room with Civil war, and World War I mannequins dressed in uniform. The uniform was a dark green britches, and a wool “Ace Wrap-looking was wound around the lower legs, to keep warm winter when they fought. There’s another room with Fire Department uniforms and their Fire Department hats, and photos of the horse drawn fire truck. This is worth the time if you are enthusiastic about history, and live close to the state of New Jersey. There are several floors, be prepared for all of the flights of stairs!! If you’re hungry, the town has quite a few nice restaurants and sandwich shops. Stay for the evening, and you can take in a play at the Hopewell Dessert theater.